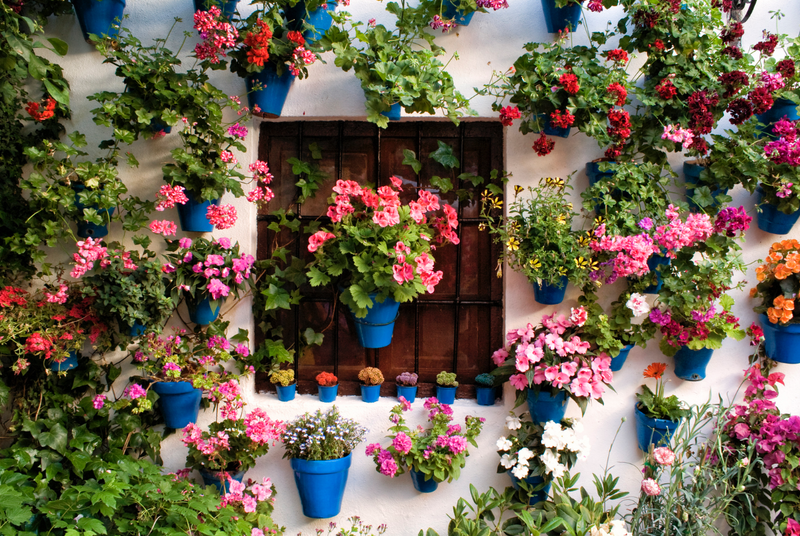 Many cultures celebrate spring festivals and fiestas around the March equinox, and the Spring Solstice. 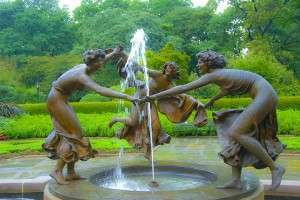 This time was known as a period of rebirth in the Northern Hemisphere which made it the right time to celebrate after the cold and windy days. 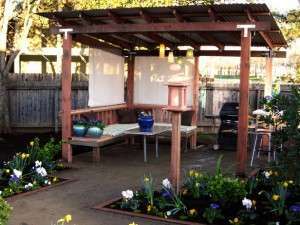 Spring and outdoor gatherings are back, with the tasty smells of barbecue for veg-lovers and meat eaters. 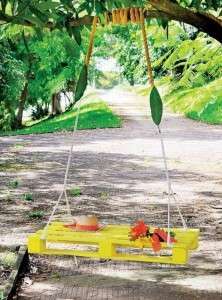 A thirst for cold juices and beer, Yes, spring is the time to skip crowded subways and traffic jams to walk or bike instead. 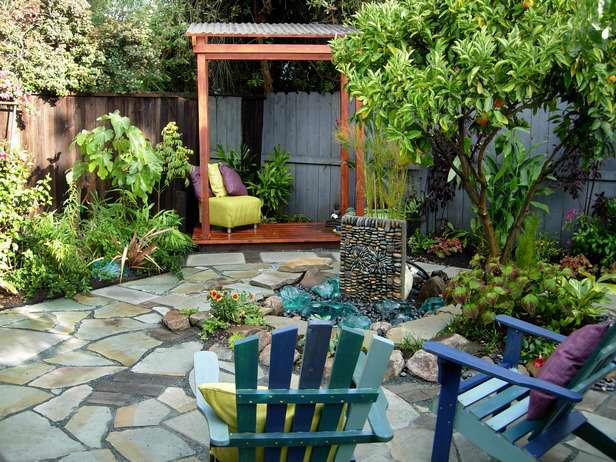 A garden is a wonderful friend, so why not go out there breathe, meditate and relax? 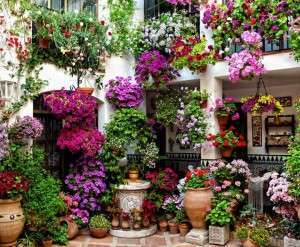 It’s where you can witness the colorful pansies and spring flowering bulb while enjoying the humming of birds. 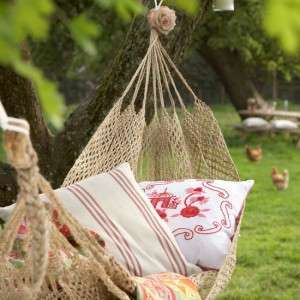 It’s time to endow yourself with serene green shades, with frogs and snails hidden in the grass. 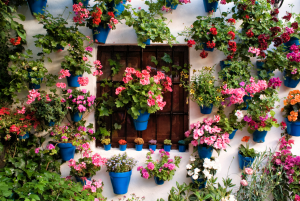 To make your experience more exciting and because we now spend less time in our gardens than ever before, Mozaico thought of some tips to beautify your gardens with creative and smart ideas to flatter yourself, to go out and breathe! 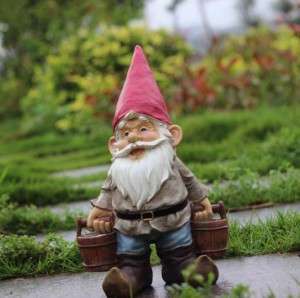 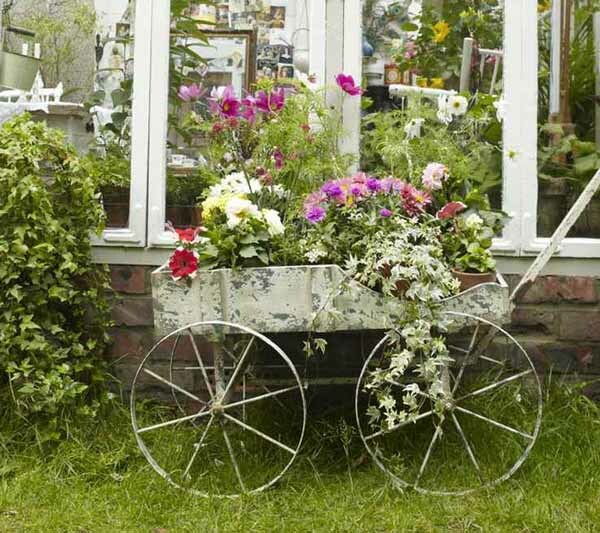 There are two kind of garden accessories, there are the decorative garden accessories to make it look more beautiful like carriages, statues. 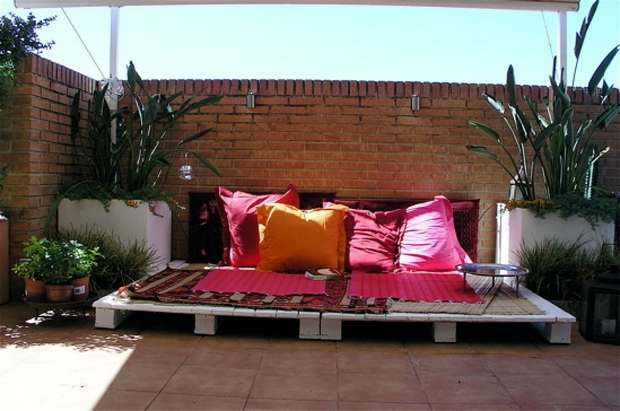 lanterns and candles, empty cages, creative sculptures, water fountains, bikes etc… And of course, there are the basic garden accessories such as flooring, furniture, hammocks, a barbecue area, gardening tools and of course plants. If you wish to create a joyful and relaxing ambiance in your garden under a darkened sky, think of candles and lanterns. Candles glow bright and shine through geometrical designs to dive you back in time. 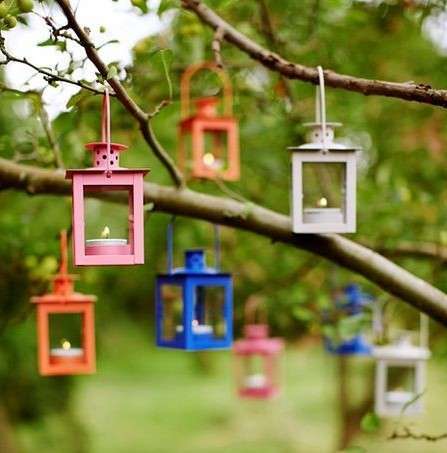 Lanterns and candles can benefit your garden with energy saving and beauty. 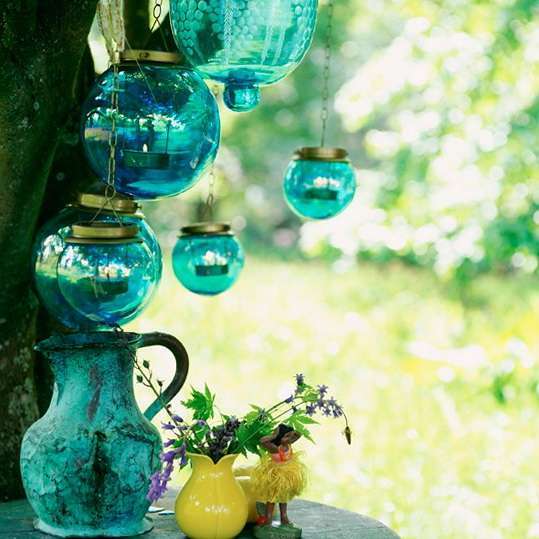 Picking the right lantern is not always easy, however it mostly depends on your taste in perspective. 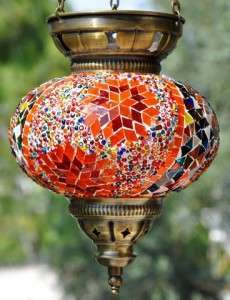 Mosaic lantern ideas will reflect the candle light through different patterns, shades of colors and geometric shapes making your garden experience just perfect. 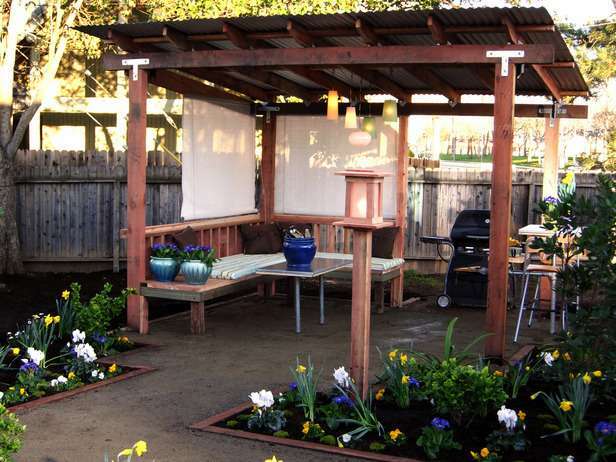 Choosing the right candle could create a mosquito proof barrier. 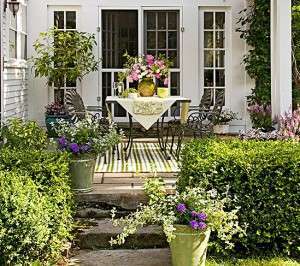 Citronella candles are known for their aroma that keeps mosquitoes away. No more itching, no more ruined picnics or outdoor gatherings! Bikes and carriages are unique and creative decor accessories to your gardens or patios. They can serve as a a flower bed frame, trellises, plant stands or planters. 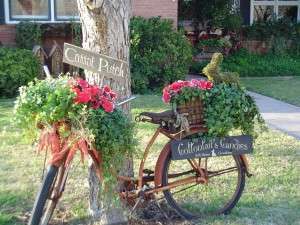 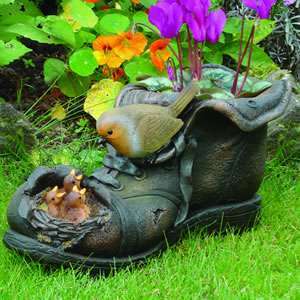 Get your creative juices flowing, through decorating your outdoor area with recycled items and forget about traditional planters. 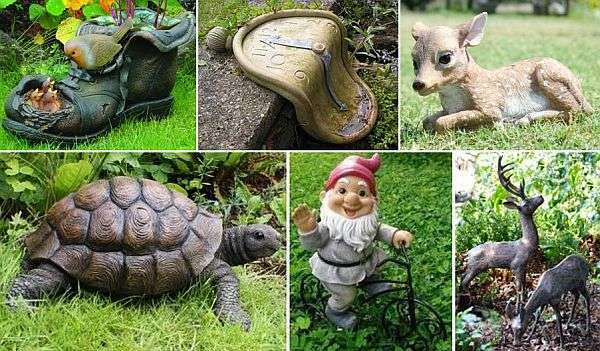 Be creative and eco friendly through keeping these items out of our landfills and give your gardens an epic and joyful character ! Design your garden in order to desire it. Your patio and garden are a lot more than well placed stepping stones. 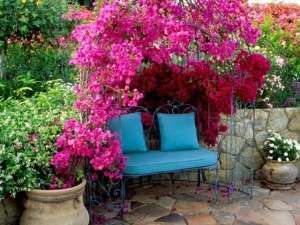 To complement your flowers, trees, plants and attract the relaxing humming of birds, think of adding movements and dimensions to your outdoor area. 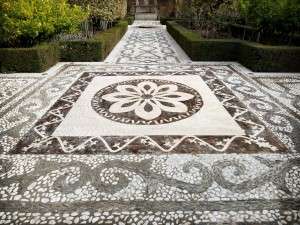 Many marble mosaic and granite artworks that can creatively serve you as a garden decorative item. 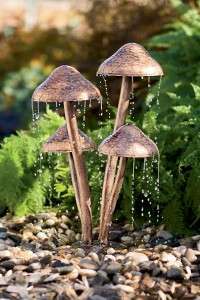 If you’re wishing to add more beauty and character to any garden yard or patio, think of outdoor water fountain statues. 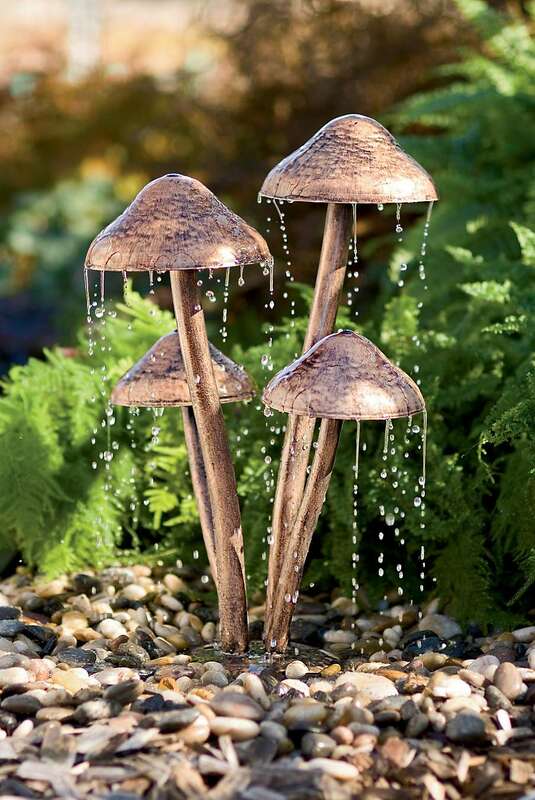 You will not only get enchanted with a gentle and relaxing sound of water flowing, but will also have a decorative accessory that gives a unique shine to your gardens. 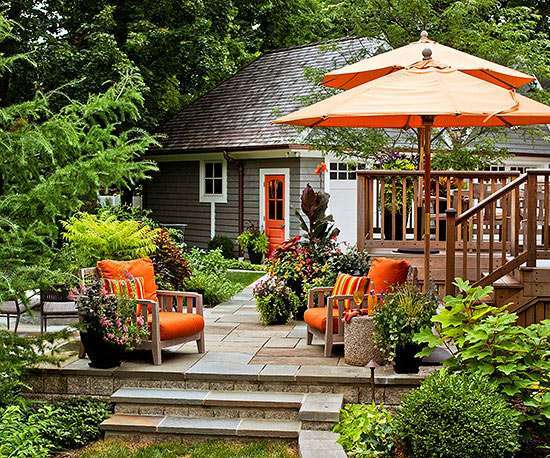 Choose the right size, style and material to complement your yard. 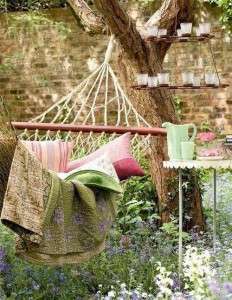 Nothing is more relaxing than reading a book on a hammock or just hanging out with your cup of tea before anyone wakes up. 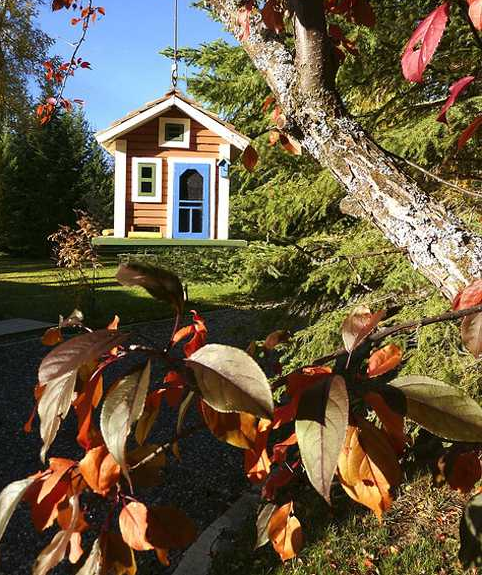 you can also enjoy long nights and clear skies for stargazing. 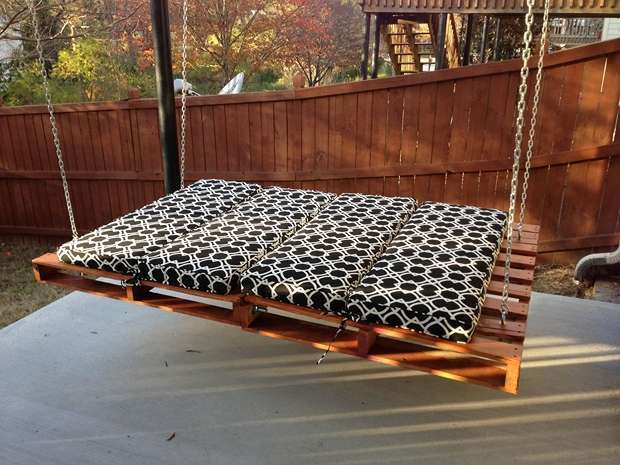 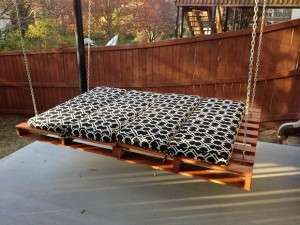 A hammock is a basic garden accessory and you can also have it on your balcony. 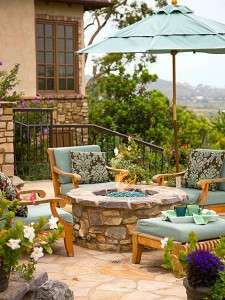 Outdoor furniture can also be called garden furniture or patio furniture. 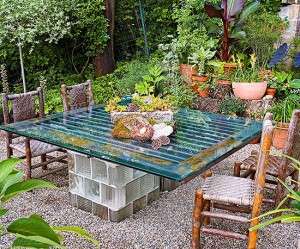 It’s typically made of weather-resistant materials such as aluminium or marble which does not rust. 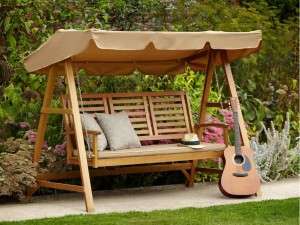 A patio umbrella is a must have basic accessory for the garden. Don’t hesitate to add vibrant and daring colors to your outdoor furniture. And of course convince yourself with the beauty of nature with an exquisite outdoor roof. 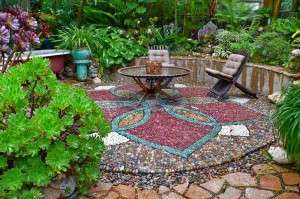 Through the creative touches of designers and artists, today we witness creative and odd designs to beautify not just our indoor and outdoor areas but our entire life. 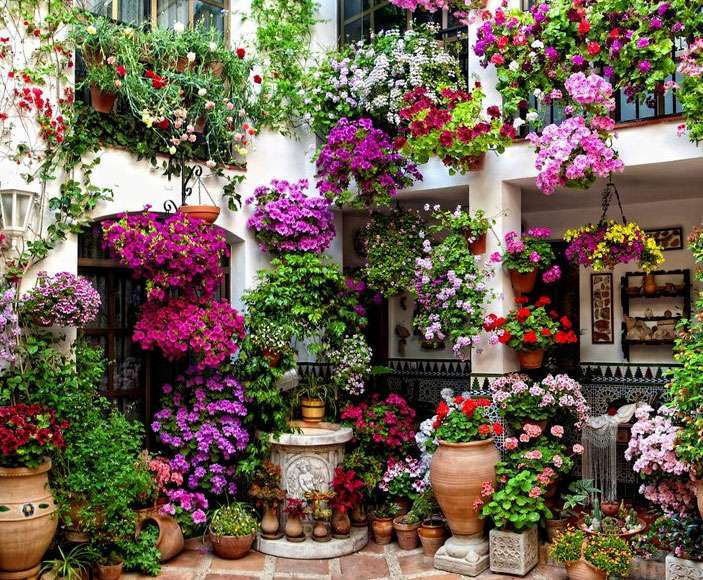 Instead of using traditional planters look at these colorful flower and plants pots. 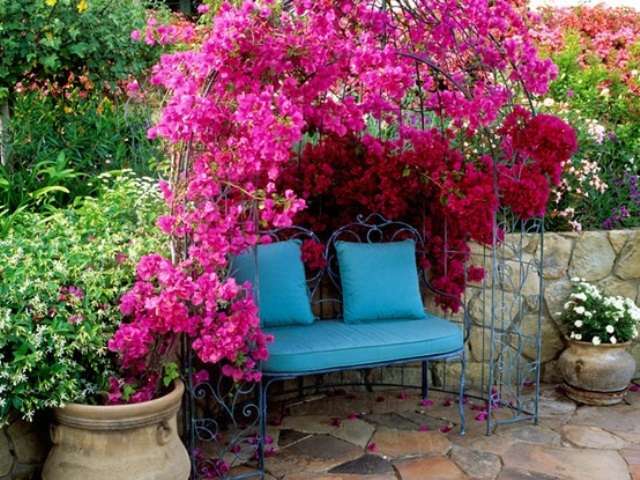 Colors will fill up your garden with a vibrant touch of serenity and attraction. Flooring is one of the basic design element of a garden. 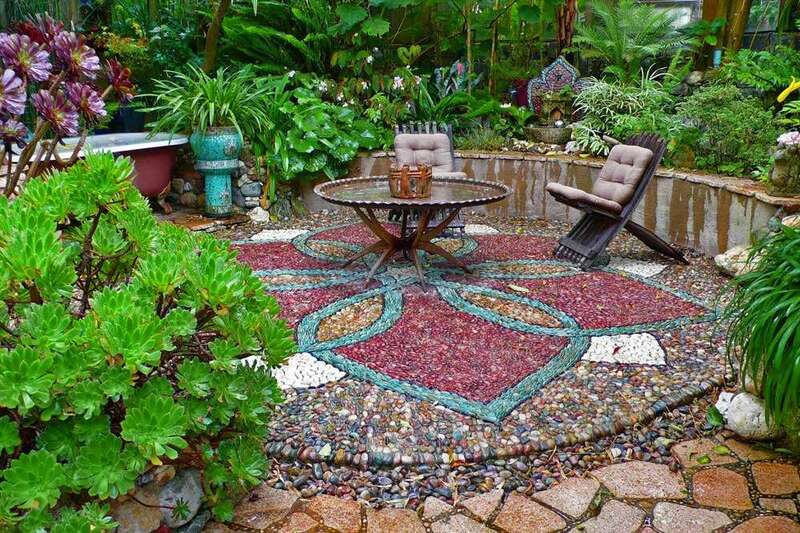 There are plenty of mosaic ideas and stone art designs to ornament any garden or yard floor. 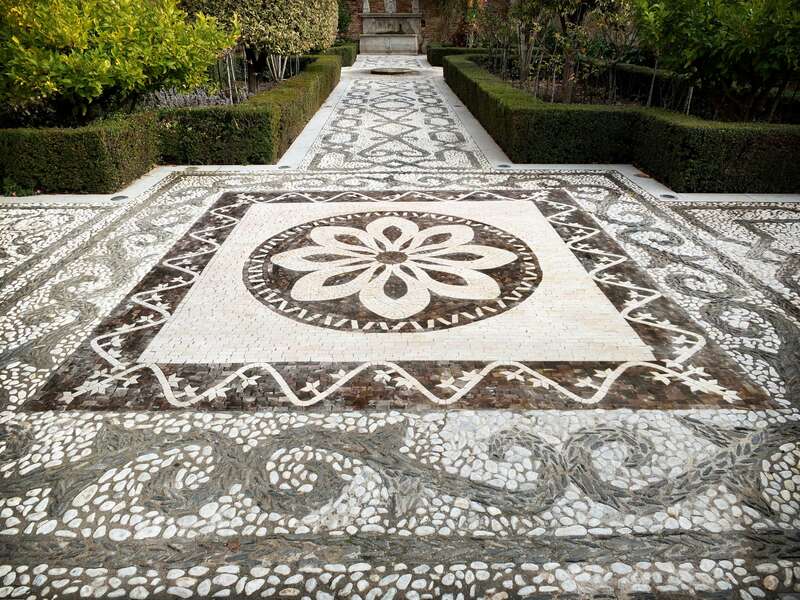 The floor mosaic ideas are easily installed artworks and you buy them once for a lifetime. 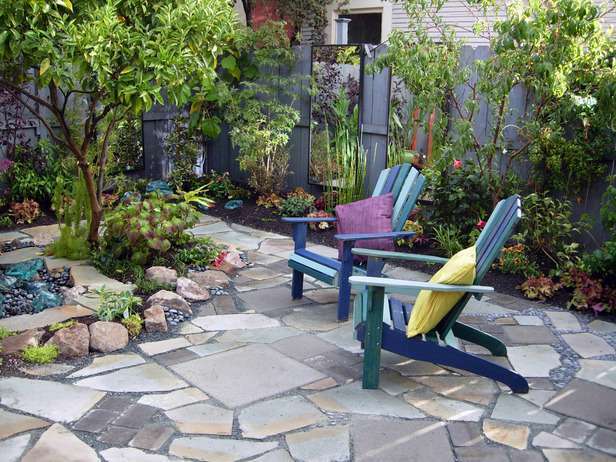 Marble tiles and handpicked stones are the most durable and advised tiles for garden flooring. 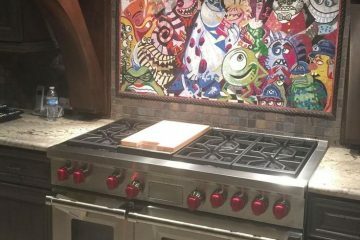 These tiles are anti-dust and also washable acid and aklali proof. 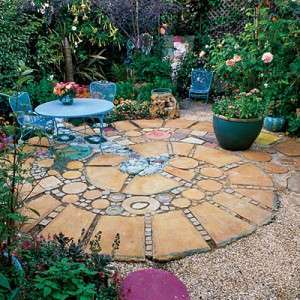 Mandalas and spiral designs are the most trendy outdoor floor inserts. 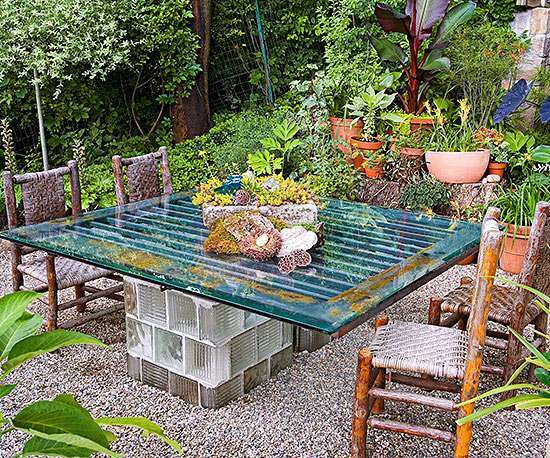 Do you want this marble mosaic center piece in your garden ? Find it here. 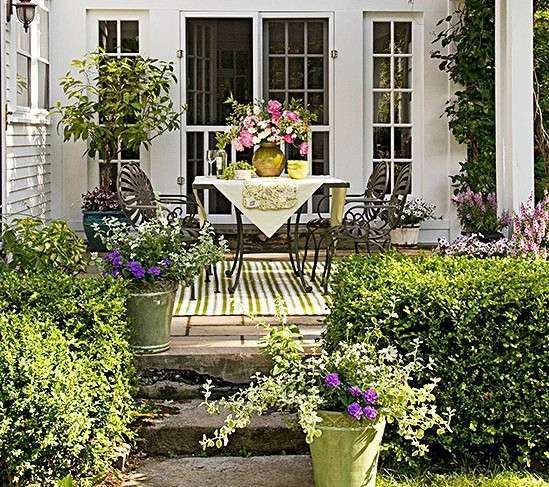 Looking for other decorating ideas to inspire you in other areas of your home? 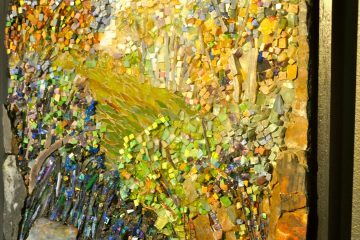 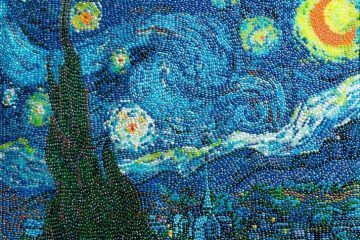 Impressive Mosaic Sculptures and Wall Art Ideas have hundreds of creative ideas for you to steal. 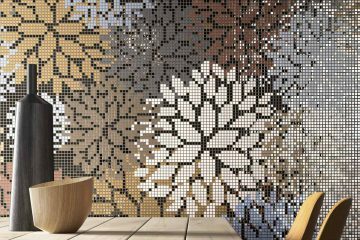 Discover Mozaico and get inspired with a wide range of pattern and geometric designs to ornament any indoor or outdoor space!